THE APP WITH THE HIGHEST AMOUNT OF CALENDARS TO CONVERT BETWEEN. 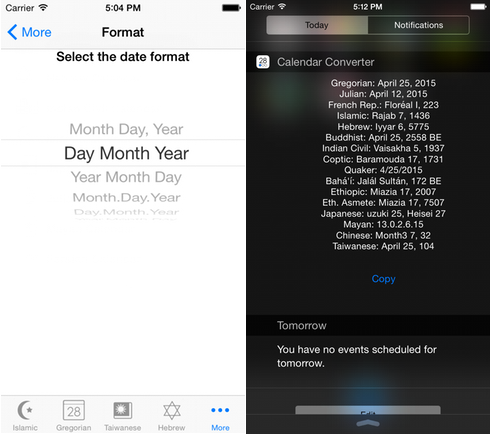 Calendar Converter is an easy to use app for iOS to convert dates between different calendars. 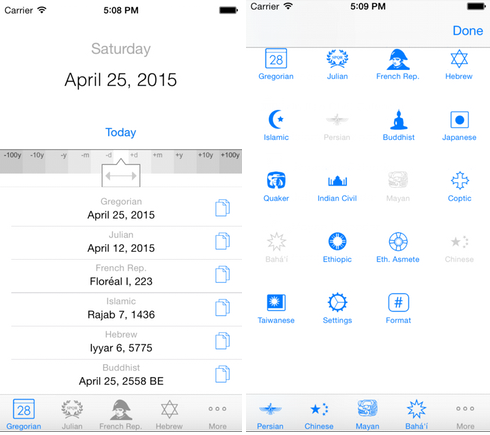 Completely rewritten for iOS7, added iOS8-9 support like the Today View. With iOS9 we also added Apple Watch support. The converted dates are shown in the bottom part of the window. Available in English, French, German, Spanish and Dutch.